Have you eaten Japanese sushi? 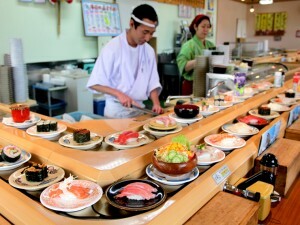 There is various kinds of sushi in Japan !! 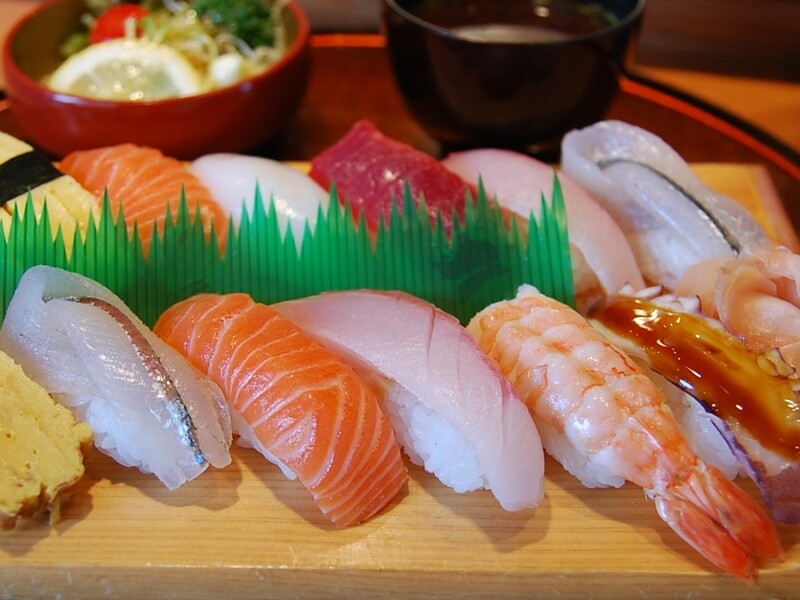 Sushi is known as Japanese representative dish “SUSHI” in the whole world. 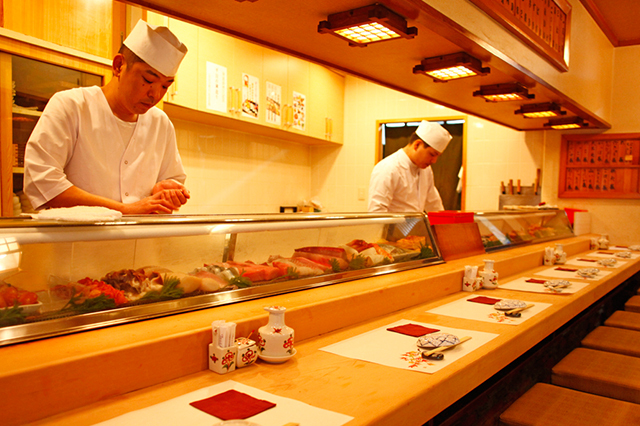 A sushi bar appeared in the United States in 1980, but is an opportunity. The California roll that the person with the resistance bound that I ate raw fish with avocado or crab was made. Sushi fitting the taste of each country is born one after another. When I eat Nigiri-sushi in Japan, there is the shop of 2 patterns. 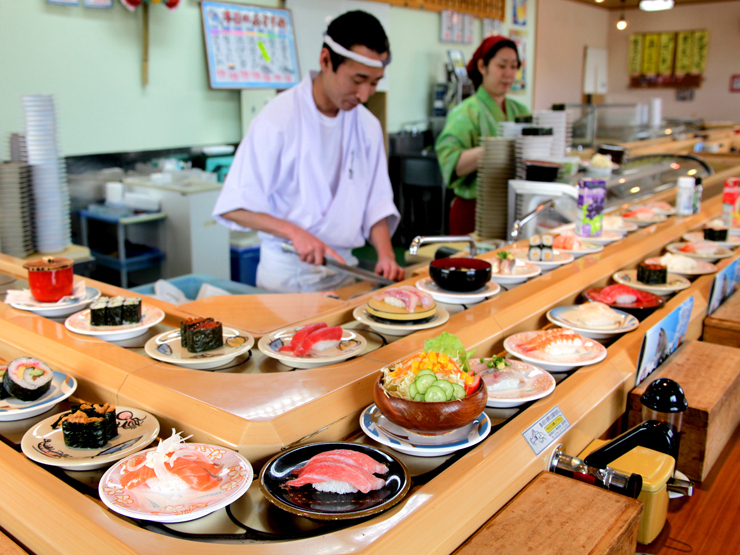 The sushi “belt-conveyor sushi”(kaiten-sushi) which turns around which is globally famous. And it is “a sushi bar” of the normal not to turn around. The price is one dish of around 100 yen. It is the friend of general public. 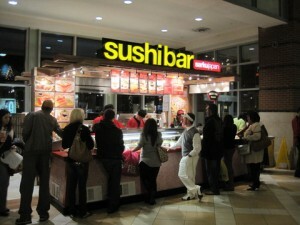 Fresh sushi flows in front. And I can order various menus in touch panel. It is pleasant to have abundant side menus including ramen and the dessert !! The sushi bar which does not turn around is tense in the Japanese. But the full-scale taste that a chef holds in front is particular! Even the visitor from the foreign countries is all right if I learn even few manners. ・Let’s refrain from the smells of the strong perfume and cigarette. I interfere with the delicate Japanese food. It is annoyed by other visitors. ・From the thing that the taste is light as for the order to thick quality. White (sea bream, flatfish, sea bass) → red meat (a tuna, shellfish are how much). ・You must not attach soy sauce too much. It is NG to start to a small dish a lot. We do not delete taste of sushi, and let’s attach it. ・Let’s eat early if we have you grasp it. It is the moment when grip length is the most delicious. Let’s eat before time passing, and drying. There are many rules if I say finely. At first it is all right if I follow this rule! It will be good to hear it obediently if I may not understand it. The conversation with such a chef is fun, too. In addition, I will pay attention to a technical term if interested in sushi. The technical term peculiar to such Japan is interesting, too. I will enjoy not only the menu for foreign countries but also genuine Japanese sushi. You find your future spouse in Omiai? How to marry in Japan.